A taxpayer out of Aurora, CO, contacted True Resolve Tax Professionals when he received a letter from the IRS threatening to garnish his wages for the $242,175.00 in back taxes he owed. This gentleman had found himself, at a very young age, earning a significant amount of money as a contractor, but had no idea what that meant for him when it came to his taxes. The company he hired to prepare his taxes for the years between 2004 and 2010, did not help in advising him of his obligations to make Estimated Tax Payments either so the process continued for seven years. The seven year mark was also about the time that this gentleman’s career industry took a turn for the worse and he found himself out of work and with little money in savings. After seven more years, the IRS caught up to him and he knew he needed some help to address the tax bill he was facing. Working in a job earning only a fraction of what he use to, he had no idea how he was ever going to repay the amount he had incurred in taxes, especially since he was living paycheck to paycheck just to pay his bills. After a consultation with one of our team members, it was determined that he could qualify for an Offer in Compromise. 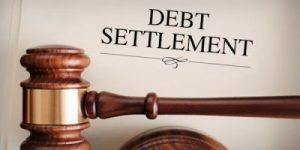 However, the looming garnishment was the immediate and necessary concern to be addressed. Knowing the garnishment was pending and understanding the taxpayer’s financial situation, True Resolve Tax went to work right away to ensure his income would not be garnished and were successful in getting him into a Currently Non-Collectible Status with the IRS. This is the first step True Resolve will take in getting the taxpayer into a successful Offer in Compromise, but one that ensures his finances are safe while we work through the process of preparing the OIC for submission.